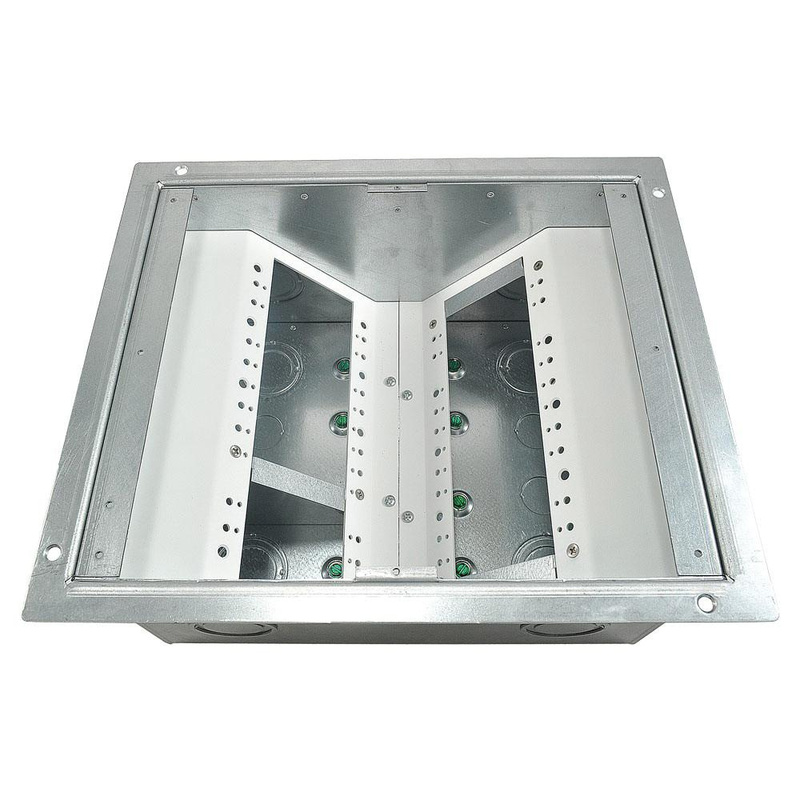 FSR Raised access floor box features brass or aluminum construction for longer endurance. It has 11-gauge finished steel cover with choice of carpet edging. Square box features stainless steel compression latches and lift-off full access door. It measures 10-Inch x 12-Inch x 6-Inch. Floor box is cULus listed.